Kick off your snow boots and relax! 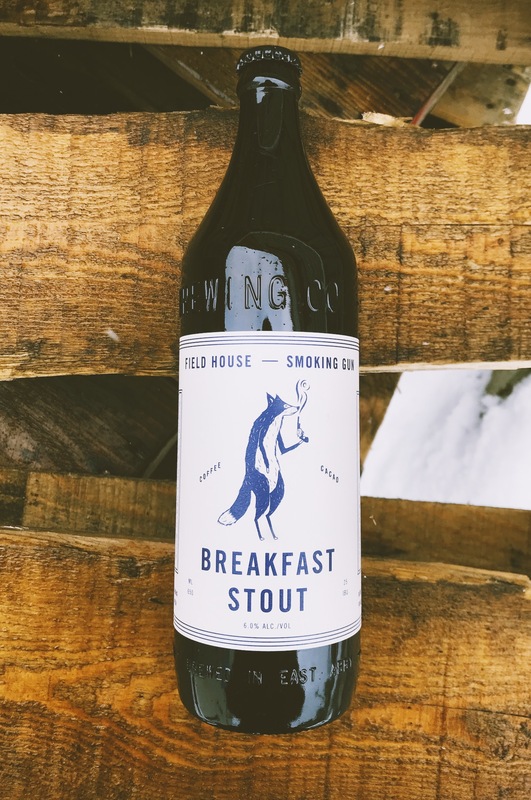 New from Field House and Smoking Gun, a beer for the most important meal of the day! This Breakfast Stout has a smooth, creamy coffee note from cold pressed Organic La Labor Ocotepeque beans. With Ecuadorian cacao, it’s the perfect stout to get you started! Cheers!